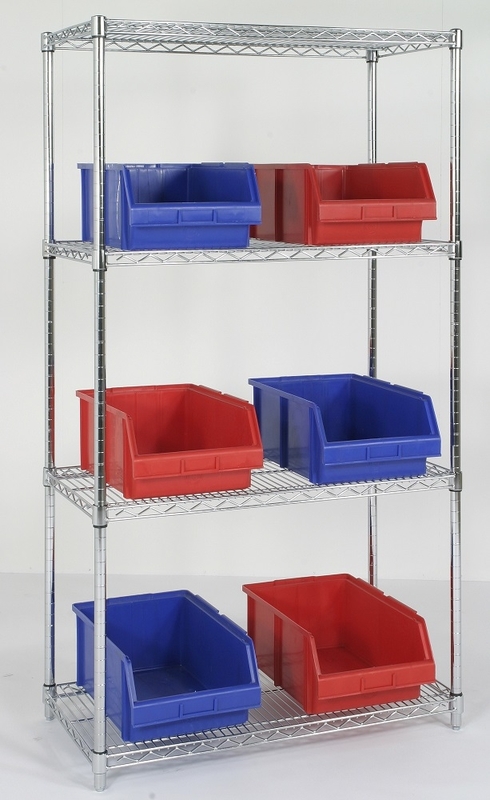 Retail chrome shelving units available in a range of sizes at excellent prices. The units consist of 4 uprights with shelves that have circular holes in each corner which the upright goes through. Individual shelves are adjustable in height. A rubber mallet is all you require to get the chrome shelving assembled or disassembled. 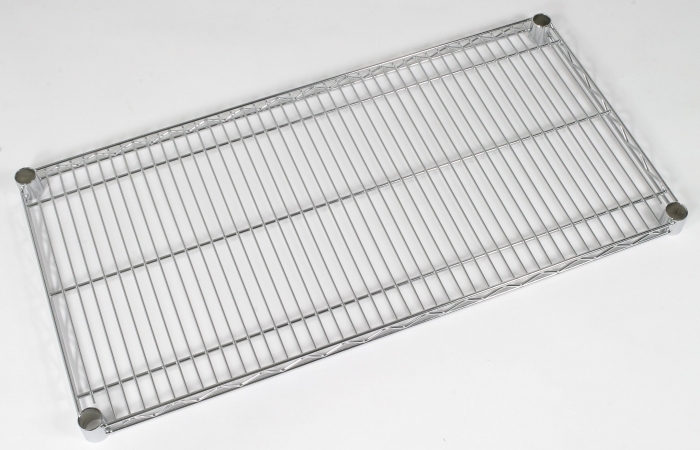 Ideal heavy duty shelving for the home, catering or retail environment. Fantastic for merchandising a display or as a storage solution. With adjustable feet on the uprights this chrome shelving unit will adjust to any uneven floors. Made from durable strong chrome, each shelf can hold up to 275KG! Space saving as rather than use your floor space this chrome shelving unit will use the height of the space you have available. Shelves are adjustable, just use the plastic sleeves provided to position the shelf were you like. Accessories available. Space saving rather than use the width of the space available use the height!